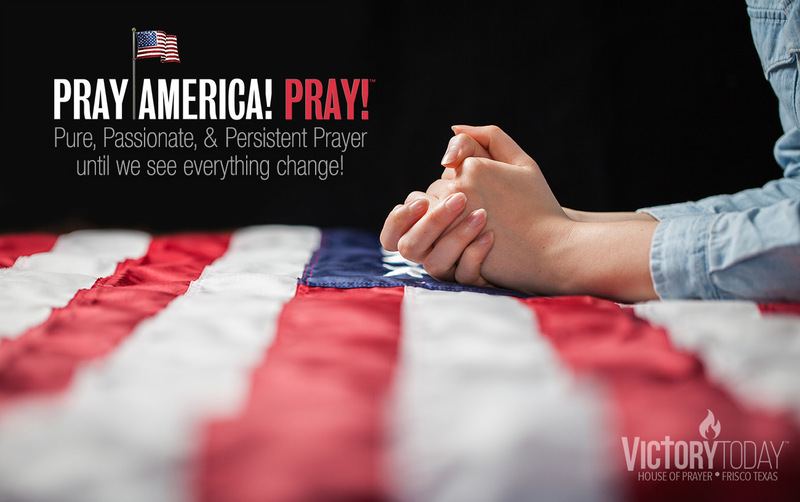 Pray America! Pray! | for the Greatest Awakening even seen! It all begins with us – the church – from the pulpit to the pews. Together, with God, we can change a nation! 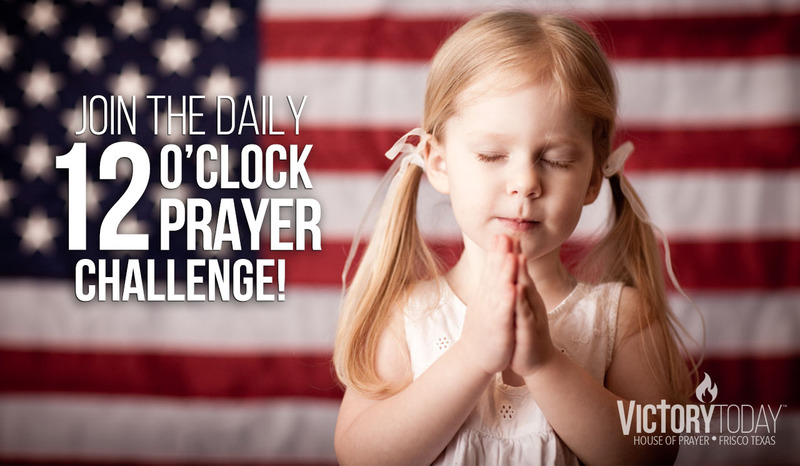 TAKE THE CHALLENGE to Pray at 12:00 noon DAILY. Now is the time to humble ourselves and pour out our prayers like rain until God comes and pours out His Spirit like rain upon our land bringing our nation to it’s knees. This is part of the solution we expound on in our new book, God’s Answer for America: How to Save and Change a Nation. America is raging down a path of self-destruction. And what we (the church) do or don’t do at this pivotal time in history will determine the course of this nation—either the collapse and destruction of America or the greatest awakening ever seen. Significant happenings in scripture at noon! • Acts 26:13 – It was about noon when Saul had the encounter with Christ and was changed to another man. • In New York in 1857, a great financial crisis caused widespread panic. In response, a businessman, Jeremiah Lanphier, sent out the invitation to join him at twelve o’clock noon every Wednesday in earnest prayer for the city and situation. The account is, what began with six people praying every Wednesday eventually became ten thousand praying every day in New York. This flood of prayer began to overflow to the churches praying in the evenings. As this daily prayer movement spread, church bells would ring as a signal for people to unite in prayer at 6:00 a.m., twelve o’clock noon, and 6:00 p.m. The result: millions were saved and the launch of moral and social reforms. Everywhere – at Home, at Work, at School, around a Flag pole at Government buildings. We invite you – businessmen, Pastors, and Christians everywhere to begin inviting people to join you at noon to pray for our nation. 1. Pure—no hidden sin or unforgiveness. This requires a genuine repentance to position us for effective, unhindered prayer. For it is the effective fervent prayer of the righteous that is powerful and effective (James 5:16). 2. Passionate—fervent prayer of the righteous is very effective. 3. Persistent—relentless until will see the answers. Daily prayer for our churches and nation is required before we will see everything change. 1. A Great Awakening and outpouring of God’s Spirit all across America, and a Great Reformation. 2. The Pulpits: Pastors – to humbly unite and lead their Churches in genuine repentance and prayer. 3. The Pews: For the Church to be a House of Prayer. For a cleansing and purifying. 4. The Multitudes: For the lost to be saved, the prodigals to come home. And the Nation to humble itself, acknowledge and turn back to God. For more details see our Top 5 Prayer Guide. “PRAY, AMERICA! PRAY!” – EVERYDAY!